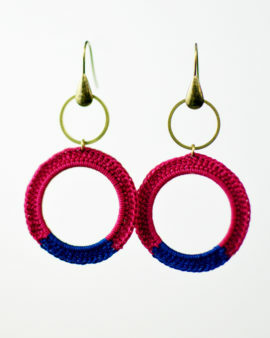 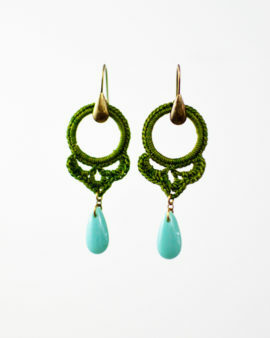 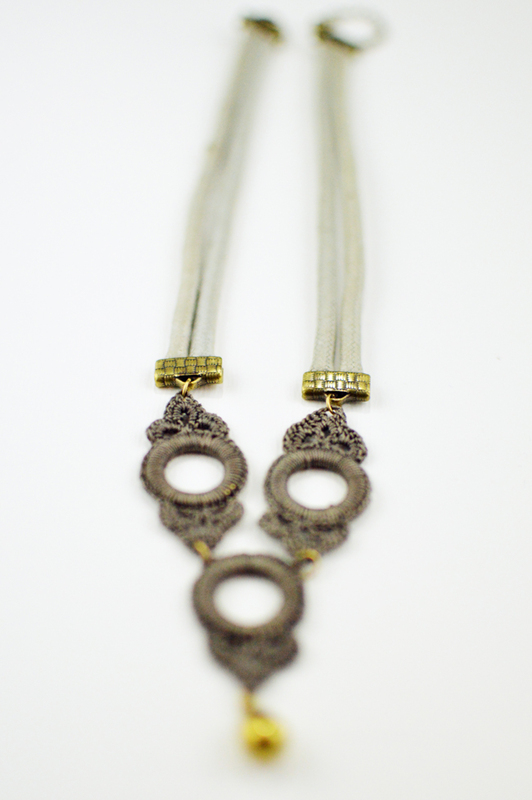 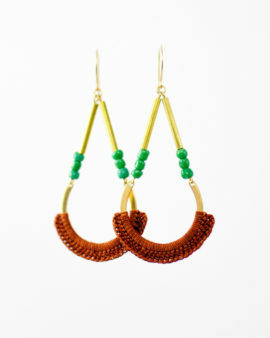 This statement piece features 3 chunky, brass hoops covered in Safari gray, hand crocheted lace. 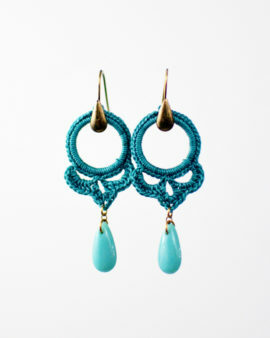 It hangs from double, cotton rope strands, capped with brass clamps. 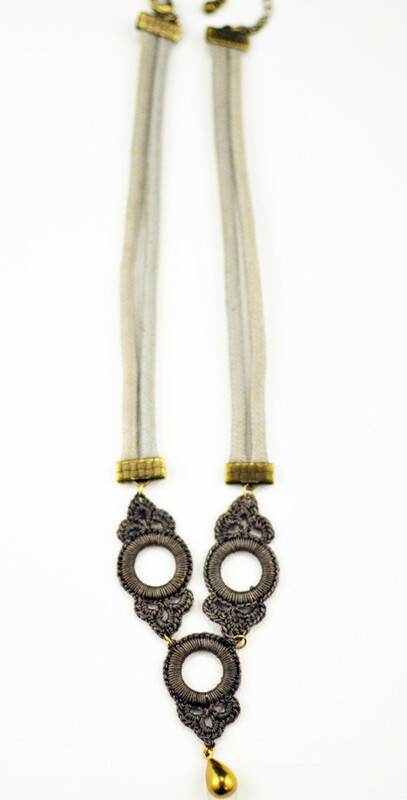 It fastens with a lobster clasp with an 2" extender chain.Necklace Length: 16" with a 2" extender chainMetal: BrassHandmade in Portland, Oregon.